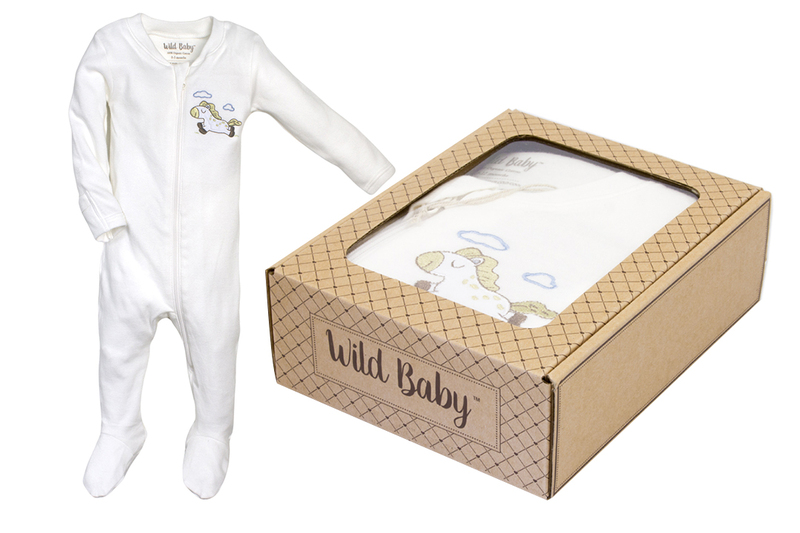 Wild Baby Zipper Footie (Horse) Giveaway! Made from soft, all-natural GOTS certified 100% organic cotton. Safe and gentle on your baby's skin - no harmful dyes and chemicals. Versatile fabric makes this long sleeve bodysuit lightweight and breathable in the summer and warm and cozy for the winter. Fold over mitten hand covers included on 0-3 month and 3-6 month sizes to prevent scratches. Gripper soles included on 9-12 month size to keep your early walker safe. Makes a perfect baby shower gift - gift box is included. 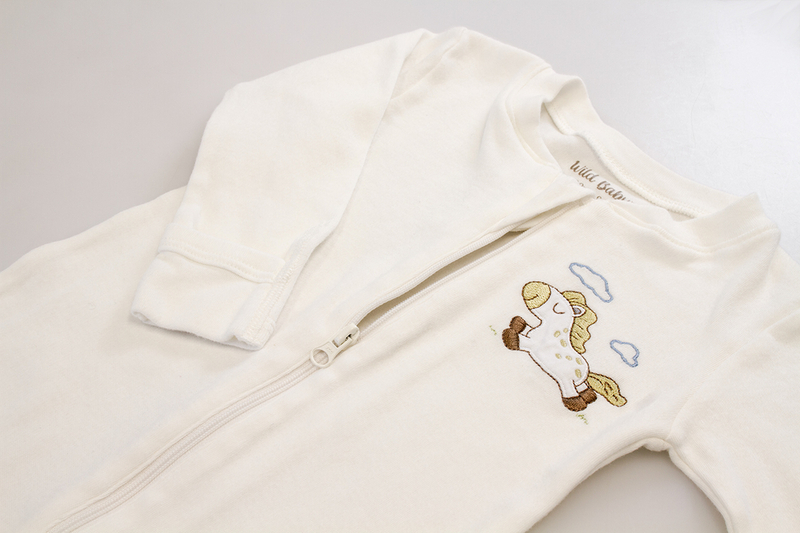 This organic horse zipper footie will surely keep your little one happy and comfortable throughout the day.